Like a lot of prolific creators, legendary anime director Hayao Miyazaki—the guy behind My Neighbor Totoro, Princess Mononoke, and Howl’s Moving Castle, to name just a few—hasn’t exactly taken to retirement very well. After a lot of rumors and denials of said rumors, he formally announced his retirement from filmmaking in 2013, followed by more rumors about his retirement being less permanent than he had initially suggested. A year after that, Miyazaki announced that he was working on a computer-animated film—his first—that would be 10 minutes-long and center around a tiny caterpillar. Now we come to another year later, and Miyazaki has revealed that he intends to turn that caterpillar short into a full-length film. 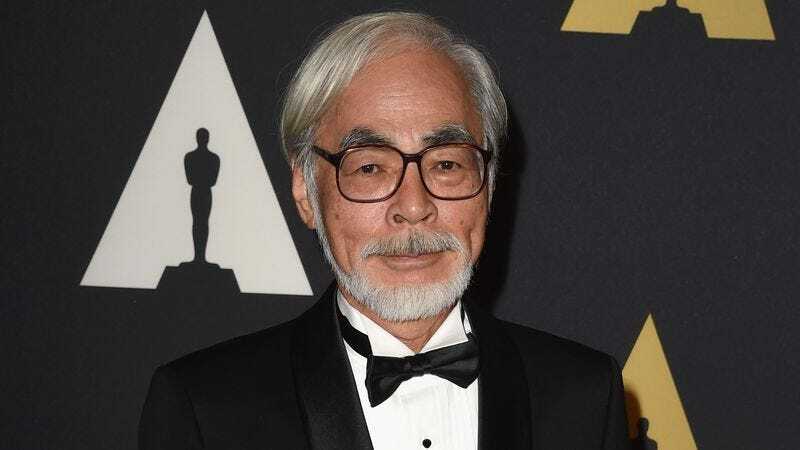 According to Anime News Network (via io9), Miyazaki was “not satisfied” with how the short was turning out, so he decided to switch gears and start developing it into a longer story. Anime production house Studio Ghibli hasn’t officially decided to move forward with the project—titled Kemushi No Boro, or Boro The Caterpillar—but Miyazaki is already working on storyboards for the animation. Assuming the movie gets made, Miyazaki believes that it will take about five years to finish, at which point he’ll be 80-years-old. Also, he’s still working on the short version of Kemushi No Boro, which will screen exclusively at the Ghibli Museum in Tokyo. So, basically, he’s not so much retired as he is just continuing to work.